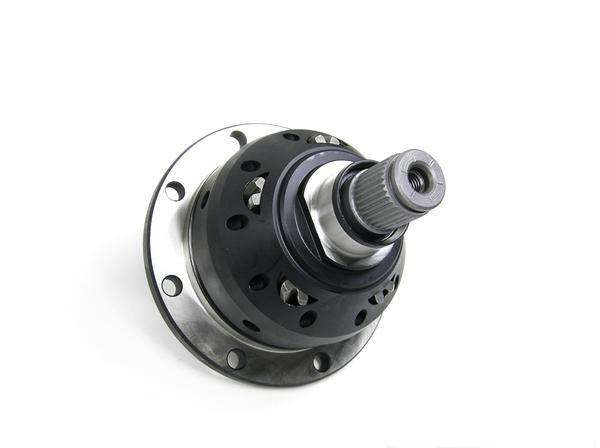 Peloquin Limited Slip Differentials - Excelerate Performance - European, Exotic and Japanese Performance Specialists!! With an ordinary open differential most of the power is lost during wheel spin under heavy acceleration. The Peloquin Differential drives both wheels instead of just one. An open differential shifts power to the wheel with the least resistance (the one with less grip). The Peloquin does the complete opposite and senses which wheel has the better grip and applies the power to that wheel. This happens smoothly and constantly and without ever completely removing power from either wheel.